mothermade: They want to know what race we are. They want to know what race we are. This morning in the rush of getting ready for school, my girl mentions something as she packs her lunch. “There have been a few racist jokes at school,” she says. 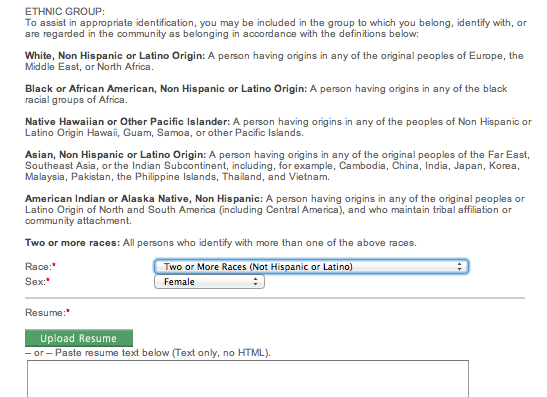 “About what race?” I ask. For me, that isn’t the point, but I don’t want to hurt her as she tries to ease my pain. That my ten-year-old must address these microaggressions in her early stages of identity development is disheartening at first, but also enlightening. She has the unique position of being perceived as white. As I have written, this fact frustrates her. “Dad, am I white?” she asks. “Yes, but you are also Korean and Hispanic,” my husband explains. “You have Papito and our Puerto Rican family’s influence in your life,” I say. “Ain’t it though … ” I concluded in my thickest Southern accent. My children and I are still working out our identities, and sometimes, they are far ahead of me! Recently, I applied to a job. As always, the race factor came into play in the application. But this one left me with no option to check. Sometimes, I just don’t have an answer.